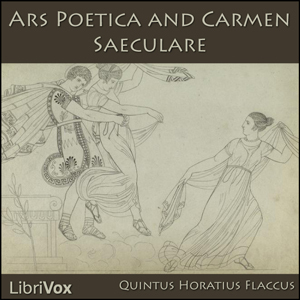 The Ars Poetica, by Horace, also known as Epistula ad Pisones, is a treatise on poetry written in the form of a letter, and published around 18 B.C. In it, Horace defines and exemplifies the nature, scope and correct way of writing poetry. This work, inspired by the book of the same name by Aristotle, is one of the most influential in Latin literature, and the source of famous concepts in poetics, such as "in medias res" and "ut pictura poesis". The text itself is a poem in 476 dactilic hexameters.